Villa Alizée is a 2-minute walk from the beach. Located 200 meters from Bouillabaisse Beach and a 15-minute walk from Saint-Tropez Marina, Villa Alizée features a furnished terrace and a large garden with swimming pool. 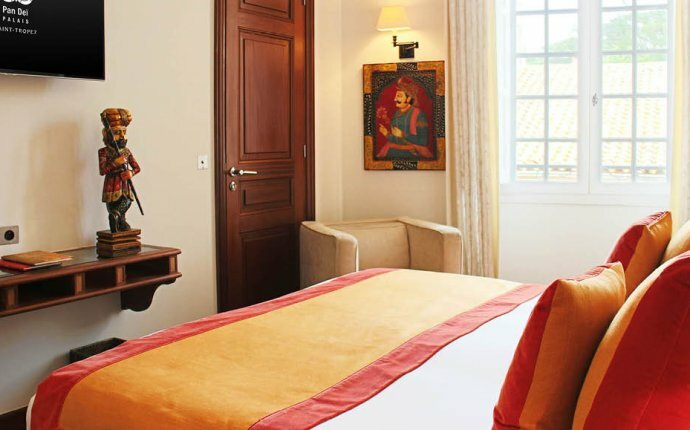 Its elegant rooms have an LCD TV and free Wi-Fi. The air-conditioned rooms at Villa Alizée offer views of the garden. The private bathrooms are fitted with a bathtub and a hairdryer. Guests at Villa Alizée can enjoy a continental breakfast on the terrace, weather permitting. You can then read the newspapers available on site. Villa Alizée is 7 km from Port Grimaud, 49 km from Toulon-Hyeres Airport and 40 km from Les Arcs-Draguignan Train Station. Free private parking is available on site. At the center of the village on the emblematic Place de la Gendarmerie, the 5-star Hotel de Paris-Saint-Tropez is your invitation to happiness, refinement and luxury. The hotel has been totally redesigned, right through to the layout. With elegant rooms and suites, a suspended glass-bottomed swimming pool, several restaurants – “Le Pationata” and “Les Toits” inspired by Mediterranean, Japanese and world cuisines.- and the hedonistic Clarins spa, your time here can only be unique. All areas of the hotel have been equipped with the ultimate in technology, the very latest invisible venue and room automation solutions and everything you need to keep in touch with the world. The friendly yet unobtrusive service is simply outstanding, whether you are staying in the hotel or just enjoying a drink, sharing dinner with friends or relaxing in the spa.